Who handles ordering of supplies? Who is your Production Manager? Who is your Quality Control Manager? A. Yes, please feel free to stop by. Click here to view our contact us page for directions. three to four weeks from receipt of Purchase Order. A. Tracy Baird handles office and operating supplies. 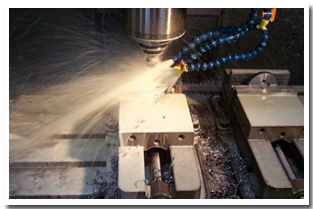 Earl Hildebrand orders material and small tooling. A. Karim Jackson oversees production.